Friday February 16th is the Chinese New Year and the beginning of the Earth Dog energy for the year. The Earth Dog energy brings loyalty and generosity this year to a much needed world. So what can we expect from the upcoming year? The Dog is a hard worker and aware of the needs of others, and the year that bears its name will also bring increased social awareness and justice for all. Any tendencies to take, take, take will be replaced by a widespread sentiment of generosity and selflessness. In general, we will all be imbued with the Dog’s keen sense of right and wrong. The Earth element with the Dog sign helps to ground the ideals of a better society and gather your pack to howl for those changes. This pack energy of change and compassion for humanity taps into the wild wolf energy of teaching, family and community. This will be a great year to explore, make friends and let your voice be heard for changes that benefit everyone. Look below for a special message from wolf to start your new year right. Join with me in this song and let us once again rejoice! Wolf has been a guide and teacher for humanity since the beginning of time. Much of our family and even society has been influenced by our observation of how wolves interact. 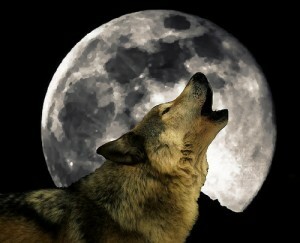 Wolf teaches to trust your instincts and follow your heart in finding what you desire in life. Are you trusting yourself and your inner guidance? Wolf shows you to be fiercely independent but still be part of the pack. Your pack is those people you give your loyalty to and support you back when you need help. Is the pack you are running with supporting you? Do you need to re-connect with those who support you? Wolf can help you find what you seek so let wolf help you find those supportive, loving souls you can howl at the moon with.